Time for the holidays, so it is time to gather! When you’re hosting a group, sometimes you just need an appetizer that will satisfy many at the same that can be thrown in the oven and forgotten about for a little while. 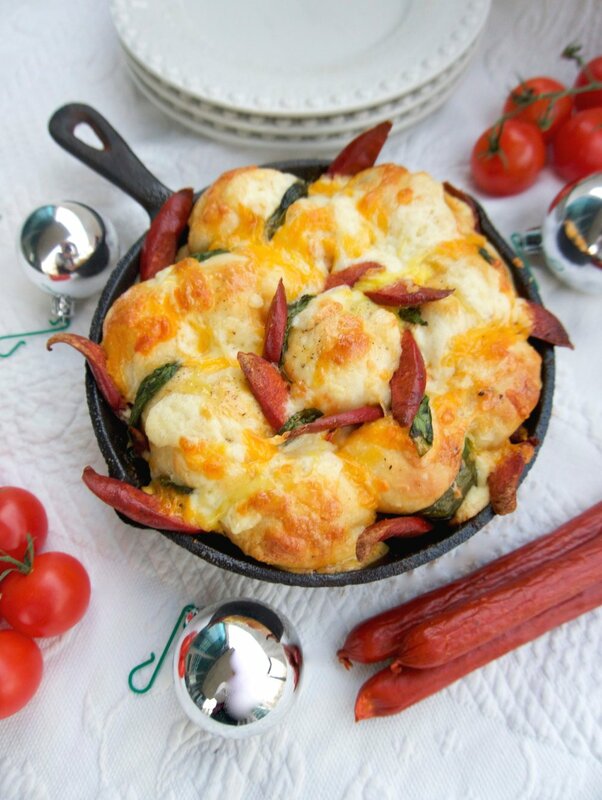 This Pullapart Pepperoni Bread Wreath does both things extememely effectively! You can put this together in the morning and just pop it in as guests are arriving. I call it a wreath because if you pop in the pepperoni slices in a symetrical way, it comes out looking like quite the pretty wreath! You can add even more basil, tomato and pepperoni for even more hints of red and green colours! Note: This recipe would be a hearty starter for 4-6 people. If your cast iron pan is smaller or larger, scale accordingly! 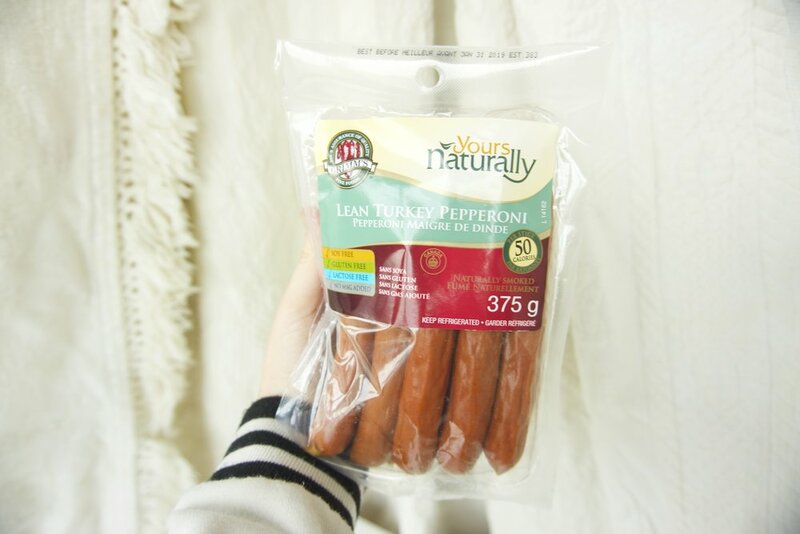 Slice Grimm’s Pepperoni lengthwise, but also on a diagonal for pretty and angular strips! 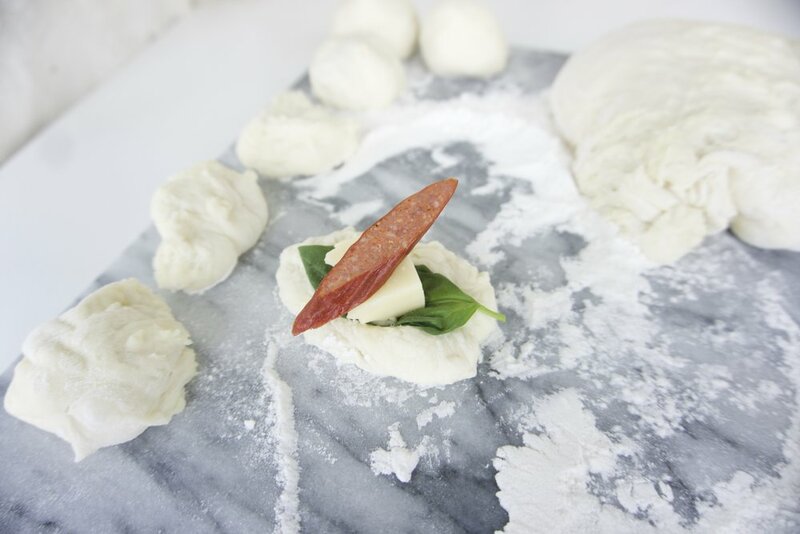 Press one cube of cheese, one slice of pepperoni and one basil leaf into the centre of the pizza dough ball and close the gap to make a smooth ball. Repeat 12 times. Coat a cast iron pan in olive oil and brush you pepperoni-filled balls with olive oil too. Place the biggest ball in the centre and layer other balls around, while arrange pepperoni slices, tomato slices and basil leaves between the balls. Top with a generous glug of olive oil, shredded mozzarella, kosher salt, and black pepper. Place in the oven at 400 for 20 minutes (or until golden brown) and then set it down to be enjoyed and pulled apart by one and all!